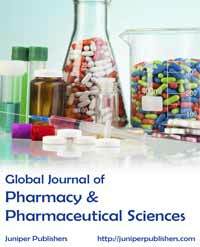 The aim of Global Journal of Pharmacy & Pharmaceutical Sciences is to encourage pharmacists, clinicians and scientists to publish their original experimental, theoretical and clinical outcome as research papers and can be accessed straight away to wider interested readers. GJPPS publishes original research work that contributes significantly to explore further scientific knowledge in pharmacy and pharmaceutical sciences (Pharmaceutical Technology, Bio Pharmaceutics, Pharmacokinetics, Pharmaceutical Analysis, Novel Drug Delivery, Pharmacology, Pharmacognosy, Pharmaceutical chemistry, Pharmaceutical Microbiology, Pharmaceutical biochemistry, Pharmaceutical Marketing, Toxicology, Pharmaceutical Education, Hospital Pharmacy etc.) GJPPS is a multidisciplinary, open access, online, peer reviewed journal publishes Research Articles, Review Articles, Short Communications, Mini Reviews and Editorials, in areas of pharmacy and pharmaceutical sciences from the discovery of a drug up to clinical evaluation.